New contest: What happened 2011? Happy new year! I am back from my little break and new SP-Studio updates will be online soon. And of course we have a new contest. This time you can submit pictures about whar happened in the last year. No matter if it’s about the big news stories (we have tons of Bin Laden pictures already ;)) or personal experiences. Join the contest until January 15th in the SP-Studio community! 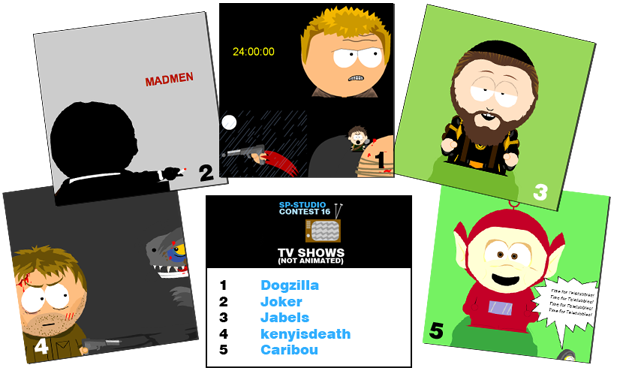 The last contest about the topic “TV Shows” was won by Dogzilla. Congratulations! The Top5: 24: Jack Bauer, Mad Men, Blackadder II: Lord Melchett, Primeval, Time for Teletubbies. Come faccio ad installare il provgramma?